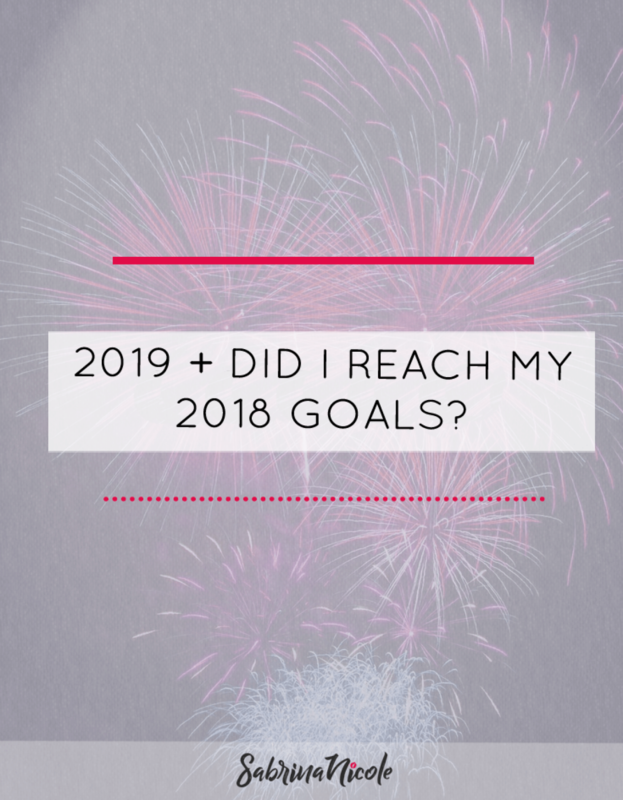 Home → Living Life → 2019 + Did I reach my 2018 goals? Based on my blog last year, I decided to do a recap and see if I actually completed any of them. Get back into blogging: HUGE fail! I am still yet to get into a proper routine with blogging, this is a work in progress. Take control of my health: Yes and no. I’ll forever have MS and it’s a journey. I’m working on my health everyday. Read more: Do other blogs count? I barely read any books last year. Work with different brands: Big no. The company I worked with for blogger outreach hasn’t really been active. Start a new fitness class: Yes! However this was more recent. Enjoy turning 30: Yes, well I did turn thirty. I had a great time with my close friends and family. Update/new skills: No, just no. Declutter: Yep, as per my blog last year I cleaned up on things such as toxic friends, bad food, old clothes, negative thoughts and more. Sleep more: According to my Fitbit, I get 8+ hours on average. So I didn’t complete all my goals last year. A little disappointing but I did what I could. I enjoy setting goals, whether it’s for the year, month or day. With that being said, let’s move on! Get back into blogging: Yep, this still stands. I’ll try again. Take control of my health: This will always be a goal. Stop impulse buying: I’m a sucker for buying the latest skin creams and lipsticks. I’m going to try and only buy what I need. Read more: I have a stack of books that I must get through, no excuses. Get more exercise: Not only for physical, but more mental reasons. Exercise is a must for me this year. Stress less: I got over turning 30. I want a stress free, calm, relaxing, easy life. Less stress = better me. Bucket list: Start one and tick a few things off it – I should probably write this down! Attend more wrestling shows/different events: The most fun. Make an effort: I absolutely love my friends and family, I want to spend even more time with them, life is too short. Travel: I have a few places booked this year. Mainly in the UK. As long as I get about, that’s good enough for me. Declutter: Similar to last year, but mainly clothes. I have far too many that I don’t wear. Keep on sleeping: I cannot function without 8 hours or more.